Steve Niles is WLUSP alumni and formerly held positions in Sports, News and Student Life at The Cord. He is now an Associate Producer at CBC/Radio-Â­â€Canada Business Unit and has worked on The Lang and Oâ€™Leary Exchange. Paige Desmond is also WLUSP alumni and was the Editor-Â­â€in-Â­â€Chief of The Sputnik as well as WLUSP VP of Brantford Operations. She now works as a reporter at the Kitchener-Â­â€Waterloo Record. Arshy Mann is the former Managing Editor: Web for UBCâ€™s campus newspaper The Ubyssey. He is now the National Bureau Chief for Canadian University Press. 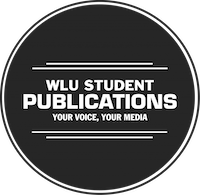 Gary Doyle sits on the WLU Student Publications Board of Directors as a community member. He has over 30 years of broadcasting experience and hosts The Gary Doyle Show daily on 570 News.